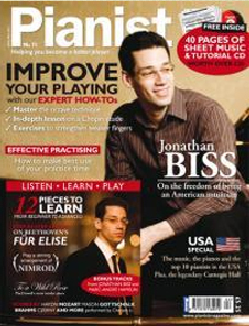 Readers of Pianist maybe have read our 'Mavericks' article inside the current issue 73. That's where we entered the wacky but always entertaining world of the ofbeat piano performers - Liberace, Mrs Mills, Russ Conway, Semprini and more. Take a look at this pianist from Sweden, Robert Wells. We quite like the sound of him. Read (and listen) about him and let us know what you think!